Heat oven to 350°F. Spray a fluted tube cake pan with nonstick baking spray. 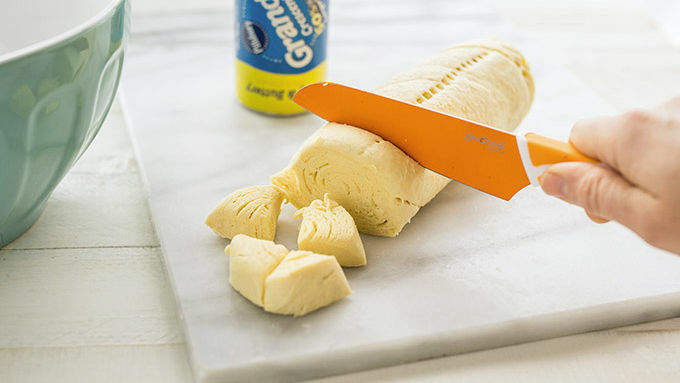 Open crescents, cut rolled dough into 1/2-inch slices, then cut each slice into four small bite-sized pieces. 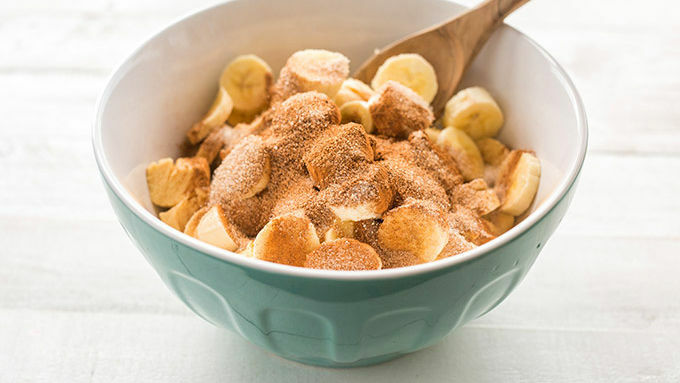 In a large bowl, stir together sugar and cinnamon. 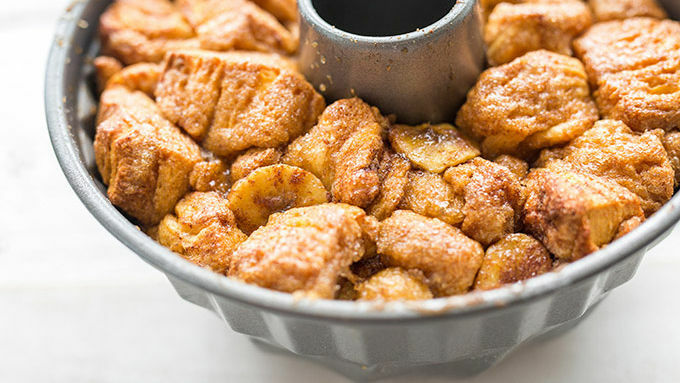 Toss crescents and bananas in the cinnamon-sugar mixture. Place crescents and bananas in prepared pan. In a medium microwave-safe bowl, microwave butter, brown sugar and vanilla for 1 minute. Stir and microwave for 2 minutes more. Drizzle over dough in pan. Bake for 50-55 minutes, or until top layer of bread is medium golden brown. Remove from oven and allow to cool for 5 minutes. Invert pan on a parchment-lined serving platter. Serve warm. We’re declaring bananas the official fruit of Pinterest. They’re everywhere! Bananas on your smoothie bowls. Bananas as your ice cream. Bananas in your coffee. 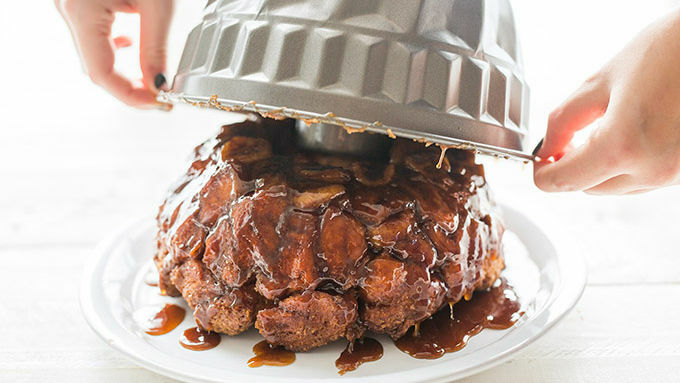 And now, bananas in your monkey bread. Because what’s not just perfectly, exactly right about that combo? 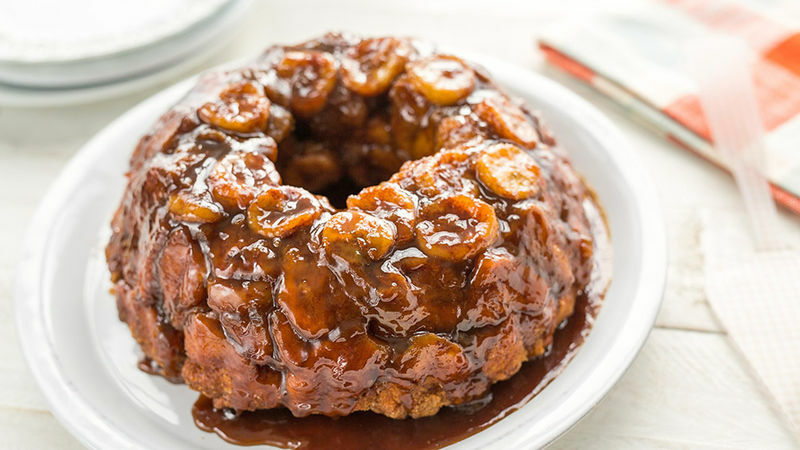 Sweet, ripe bananas are mixed with fluffy crescents and baked in a rich caramel sauce until the most perfect loaf of golden-brown pull-apart bread emerges from the oven. We made this one for breakfast, but, let’s just be honest here—this is the dessert of your dreams. It’s exactly what you’re craving morning, noon or midnight. Because every moment is better with brûlée, don’t you think? Brûlée, meaning “to burn” in French, is a cooking method where food is sprinkled with sugar then placed under a broiler to caramelize. 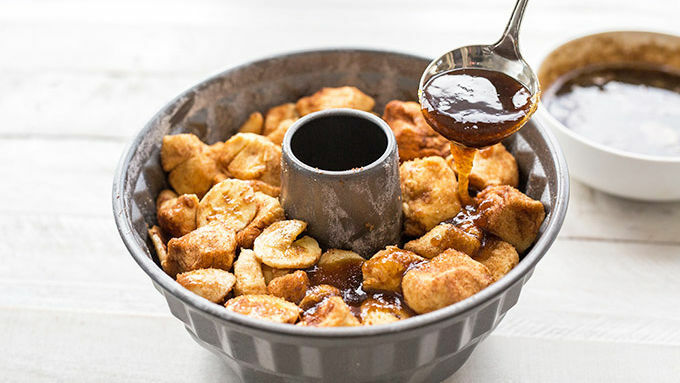 In this pull apart bread recipe the bananas are given the brûlée treatment resulting in a sweet, toasted flavor and satisfying crunch. And since there’s no such thing as too much banana bread, see all our delicious banana bread recipes here.